Here's the deal: I'm not a girlie girl. I don't do frills and bows. I don't do cutesy stuff. It's just not me. I'm drawn to sleek, classic design and in my own design work the biggest challenge is to find the balance between simple and bare. But that doesn't mean I can't be romantic and sweet, does it? I can still tell my people I love them, right? Heck yeah! And just because all you lovely darlings have been so good to me, giving me love and posting sweet messages, I want to say thank you by offering it as a freebie! Click here for your download link. As always, I ask you to read and follow the TOU! Thank you ever so much! Thanks for an elegant card! Could you share what font you used for "valentine"? Was wondering if you could do me a favour? I would like to make one of these for each of our 8 grandchildren with their photo on it and would need the words to say "We Love You" as the card would be from DH and I. Any chance you could do a separate WA with"We Love You"? Thanks again for another great idea. Thank you so much for this Freebie. 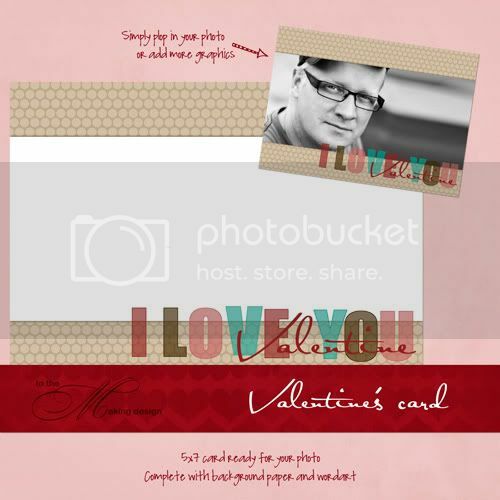 I want to let you know that I posted a link to your blog in CBH Digital Scrapbooking Freebies, under the Page 4 post on Jan. 31, 2010. Thanks again. Thanks for the Freebie. 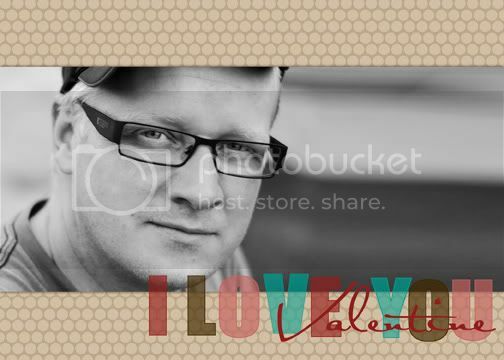 It will be posted on the Freebie page at Pernickety Prints.